The courtyard lets us create a sense of peace and comfort even on the most eventful day. 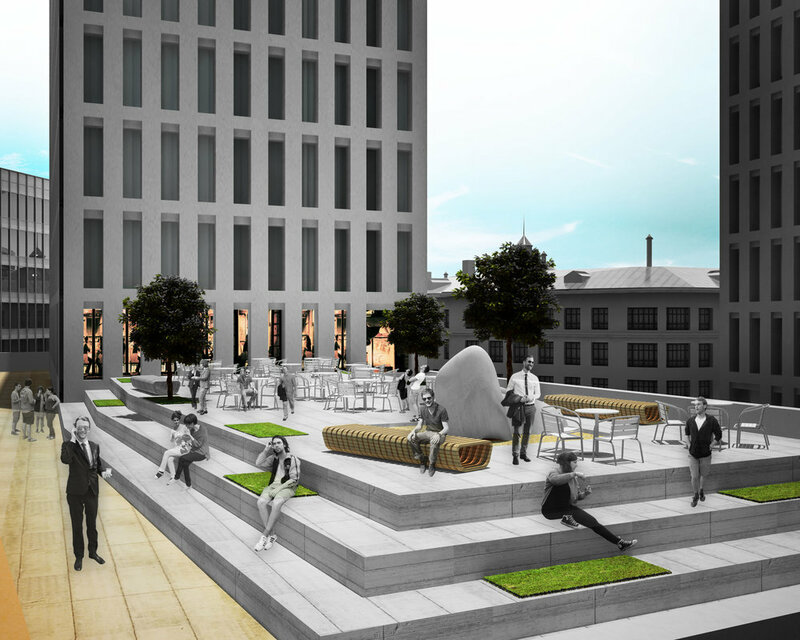 Public space with cafes and restaurants, with a green area and a place for recreation of residents and tourists. 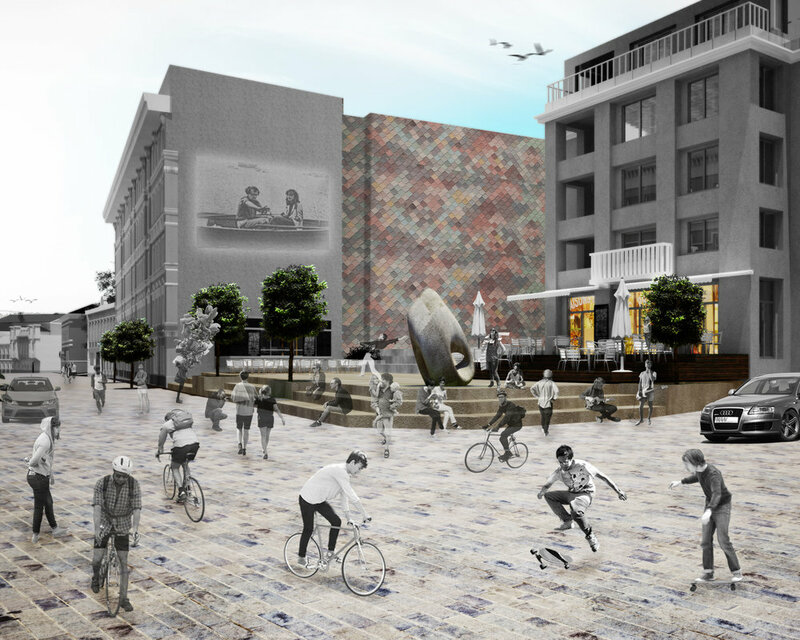 The area next to ArtHouse becomes a landmark for the whole neighborhood, a meeting place for guests and locals. This cluster contains unique development and architecture. It will become a symbol of Vorontsovo-Pole district. 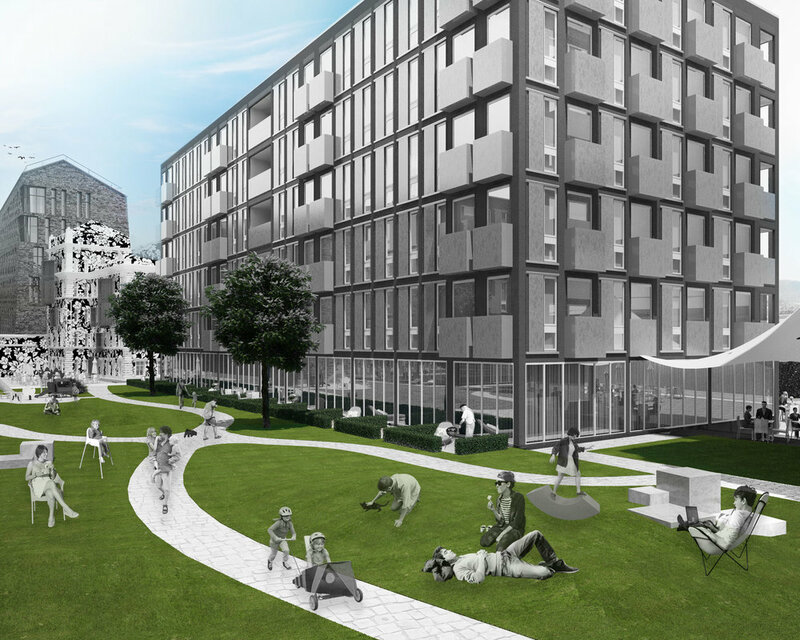 The cluster "University of Life" will be very green. Educational functions will be placed In this cluster. ArtKvartal is divided into 11 districts with their own identity and unique features. 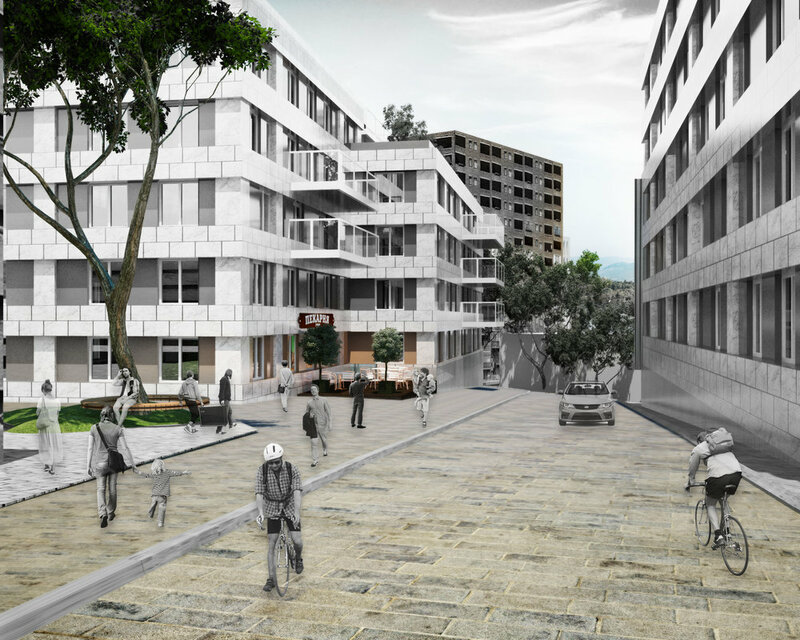 District 11 "Vorontsovo pole" is an ArtKvartal gate and a prototype of comfortable residential area in Moscow center. Privacy, quietness and plenty of greenery are the retained features of the district that are supported by rational balance of public and private areas. This balance also contributes to the development of diversified infrastructure, convenient system of mobility and comfortable public spaces along with lively streets. At the same time, it is a link between the historical center of the city and new creative areas, "Usachev-Naydenov" and "Kursk" districts. Vorontsovo pole was divided into six zones: «clusters» and adjacent zones of their influence. Clusters have different construction solutions, functions and roles within the district. 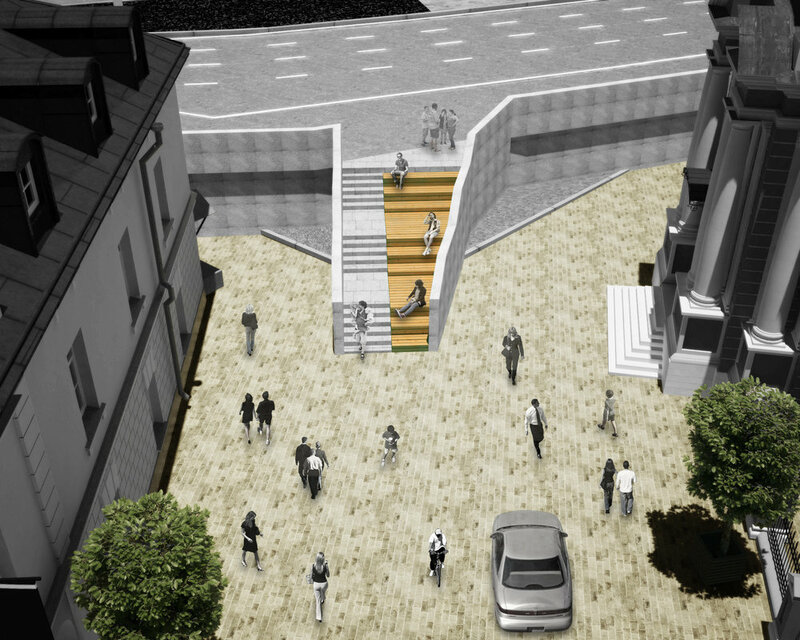 The main principle used in the design process was the creation of the visual attraction points and points of interest for pedestrians. 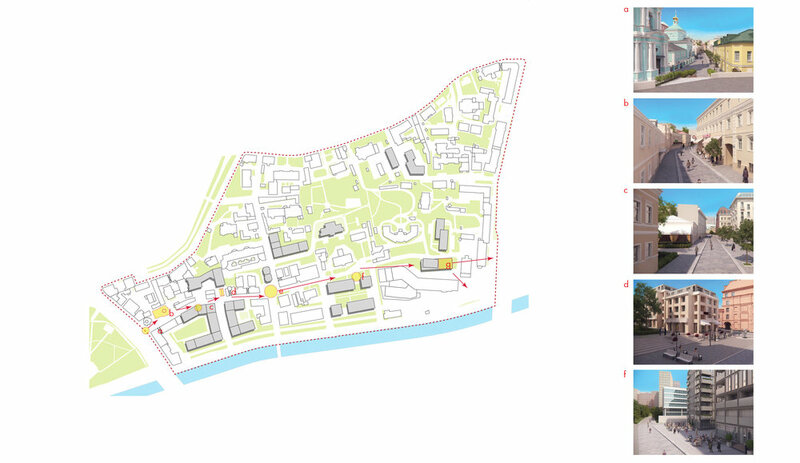 The concept also implies convenient pedestrian and transport connections of this area to the adjacent territories. 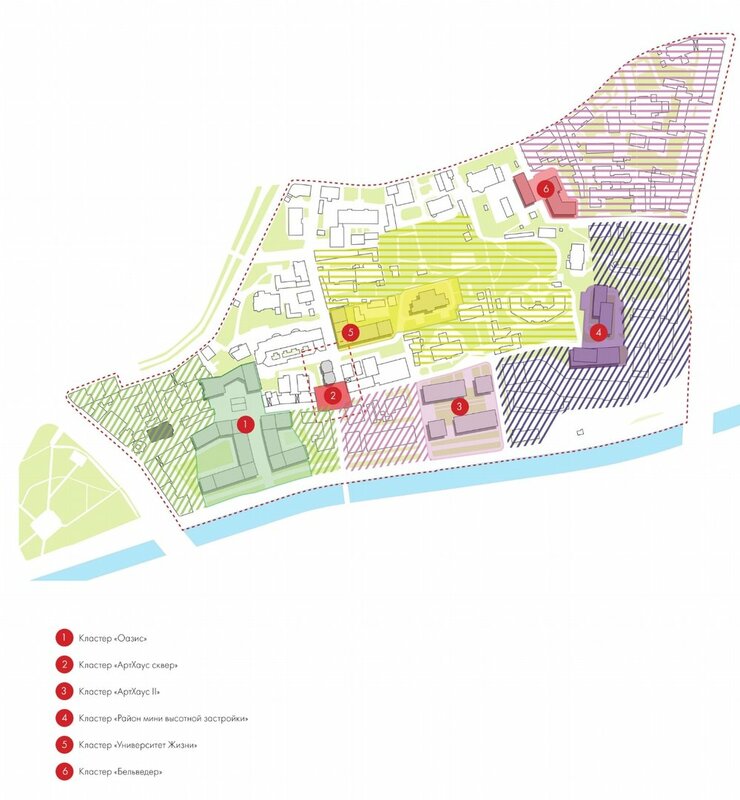 One of the main tools for the concept design was Life-programming, which implies the definition of the first floors’ and public spaces’ functions and a subsequent development of the holistic economic model of the district. "Vorontsovo pole" is a 28 hectares area in the central part of the city, where creative businesses, commerce, galleries, parks and upscale housing prosperously coexist.